2015 has been a year of change in the design community. We’ve seen a shift in popularity from Apple’s iOS 7 flat-ui to Google’s flatmorphic material design, which has not only affected the designs that we see for apps and the web, but also the typefaces being used in those designs. Google has become the trailblazer when it comes to design, and with their 2015 logo redesign, they have taken a stance on modern typography. 2016 is going to be all about Geometric design with typefaces getting rounder and bolder. Taking Google’s new logo as an example, each letter has been constructed to be perfectly linear and geometric, using only circles and rectangles in their construction. In creating their brand, Google crafted up a new typeface that they call “Product Sans.” Product sans reflects the same principles as Google’s new logo, and it’s being used for all instances where a word appears after the logo i.e. Gmail or Maps. So what can we take out of this? For starters, sans-serif fonts are gaining market share. We’ve been seeing a decline for years now, but serif fonts are becoming about as dated and dusty as your high school year books. We can’t have a world filled with plain sans-serif typefaces though. That’s where slab fonts come in. Slab fonts aren’t by any means new, though some might think so due to the recent increase in popularity. Slab fonts take the detail that serif fonts bring us, but they add a few more sharp geometric edges that complement these new geometric fonts so well. You may not have heard of Poppins yet, but now is a good time to get to know it. This font has very clean geometric shaping as well as a bold weight that feels like more of a black weight. The bold weight makes for a great heading font and will make almost anything stand out. Montserrat is one of the more popular web fonts out there, but that’s not necessarily a bad thing. The font has gained a lot of popularity over the past year, and it won’t be long before you see it up there in the ranks with Lato and Open Sans. This font is very similar to Poppins, but adds a few extra curls and swoops here and there. 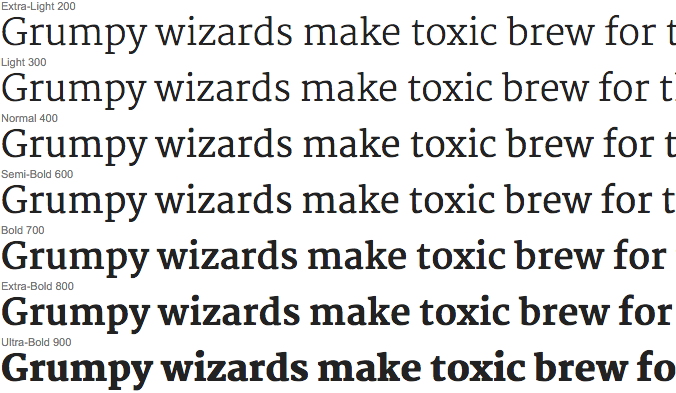 Google Fonts only has the 400 and 700 weight variants, but there’s not much of a need for anything else when it comes to using this font for your websites. We all know Lato. 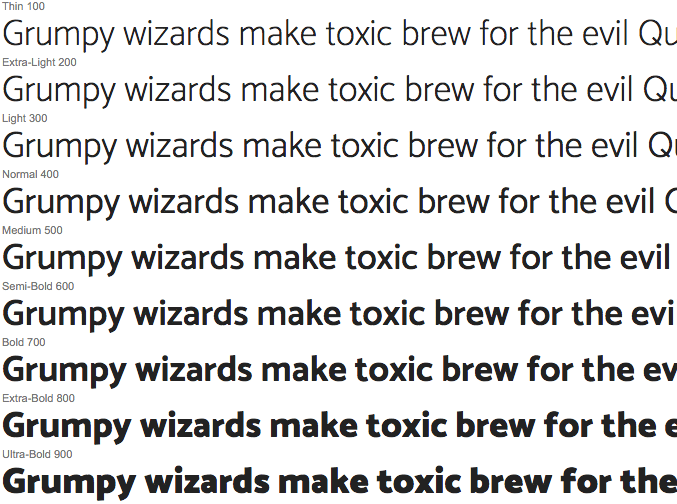 It’s been topping the list of popular Google Fonts for quite a while now, but there’s a reason for that. Lato is an incredibly versatile font that can be used for nearly any subject matter whether it be your personal blog or a website for a large university. Lato just works and we can’t get enough of it. You’re sure to see Lato continuing to be used in 2016. Here’s one you haven’t heard of yet. 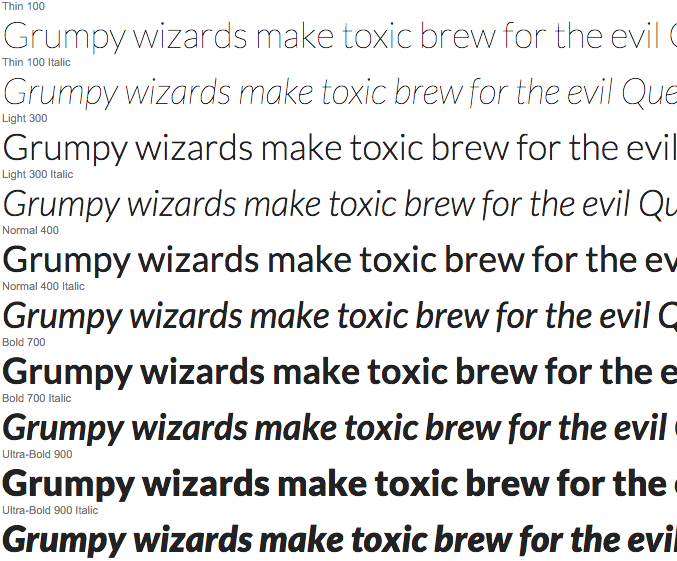 Catamaran is new to the Google Font list, but it’s sure to rise to the top quickly. If you want something that looks as clean as Lato but a bit more unique, this font may just be the way to go. Catamaran is similar to Lato in many ways, including in how polished it feels, but it comes with a bit more of a relaxed feel, which can be great for many different types of projects. The last of the best sans serif fonts for 2016 is Work Sans. This font has been around for a couple of years, but it’s just now gaining popularity. The designer has been updating regularly and you can even contribute to the project on Github. Work sans combines a little bit of what we love from the fonts that we’ve been using for so long. 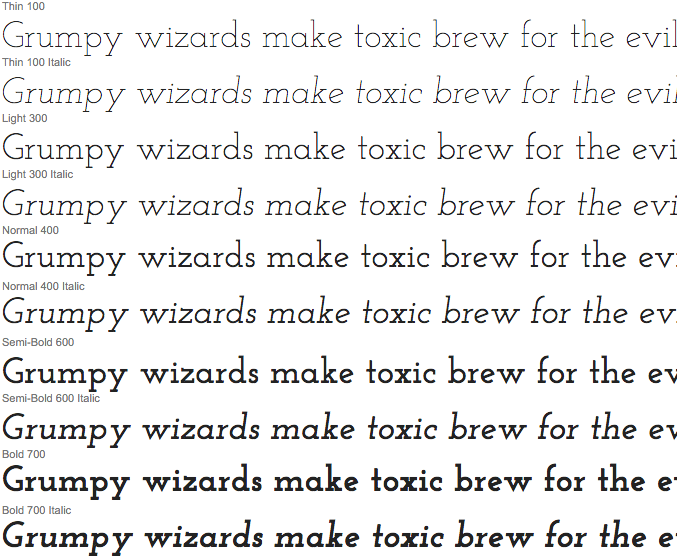 Take it for a spin on your own projects and see what you think about this up and coming font. Nothing makes a better heading font than Slabo. Combine this font with Lato, Poppins, or Catamaran and you’re sure to look like someone that knows a thing or two about typography. 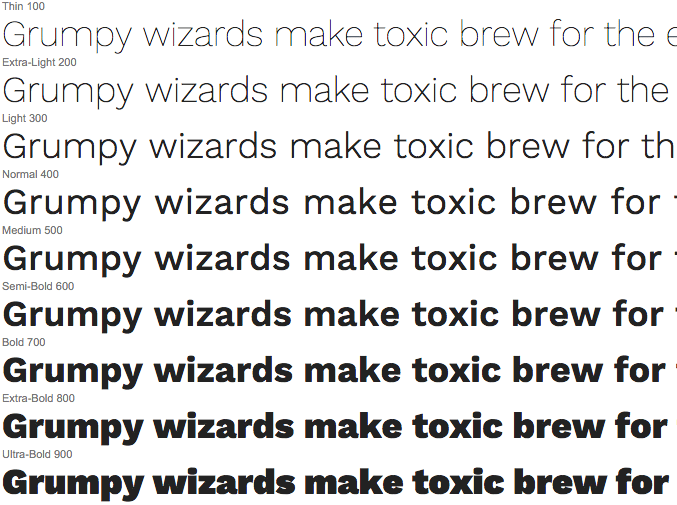 As of now, the only weight available on Google Fonts is 400, but don’t be discouraged. This still makes for a great font for all types of projects, and we may just see a few more weights added in the future. So you’re looking for something more unique than Slabo? Look no further. Josefin Slab is the perfect creative and unique slab font. This slabular cousin of Josefin Sans lives up to the family name. It’s available in plenty of weights and has italics (something not too common for a slab font) as an added bonus. Lora is the Lato of the serif world. It’s a classic font that looks great almost anywhere. Using it for large headings is a smart move for any project whether it be for the web or print. Lora also pairs very well with sans-serif fonts and can be used as either body text or heading text. The classic styling yet modern feel is what keeps Lora on the list for best web fonts of 2016. Described as an “organic slab-serif hybrid,” Andada is the perfect cross between classic and modern. The hybrid nature is very apparent in that it contains elements from both slab and serif fonts. Typical slab-serif fonts don’t work too well as body text, while this hybrid would fit perfectly well as a font for both body text and headings. Martel is the new kid on the block when it comes to serif fonts. Development began in 2008, but it wasn’t released until 2014. The Martel project is led by a Berlin-based designer named Dan Reynolds. It’s very easy to see Dan’s love for typography in his use of classic styling with Martel. If you’re in the market for a new serif font, this is the one to choose. Check out the Github repo for Martel, and if you like what you see, there’s even a sans-serif version to pair along with it.